Step 2: In the address bar type in http://192.168.0.1/ or http://10.0.0.138/ depending on your modem (you can also click to open the link in a new window). Step 4: You can now type in a new Wireless Network Name (SSID). Note: If you face any problems, you can reset the modem back to factory defaults. This will reset the SSID and Encryption key to the one that is printed on the bottom label of the Gateway. Step 6: Then click Apply at the bottom. Step 7: Browse to media.telstra.com.au to check the connection. If you reach a login page, you now need to log in. - Note: the default username is 'admin' & default password is 'password'. You will now need to search for your new SSID and reconnect to the network. 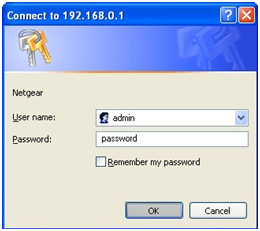 When prompted enter admin in the Username field and by default the password will be blank, however you can also try admin or password in the password field. 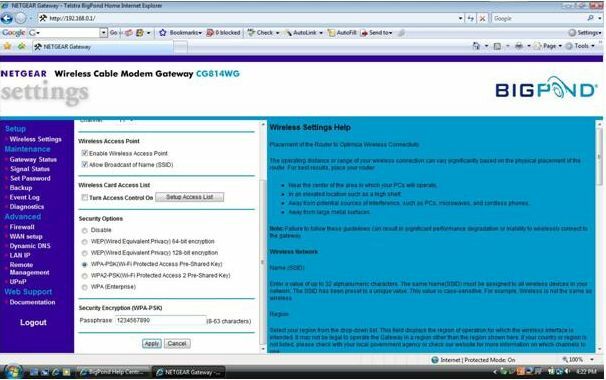 Step 3: The Gateway Page should appear with a menu bar at the top, select Wi-Fi to loads the Wi-Fi settings. Step 4: Scroll down, to the Wi-Fi Network. Step 6: Then click Save at the bottom. 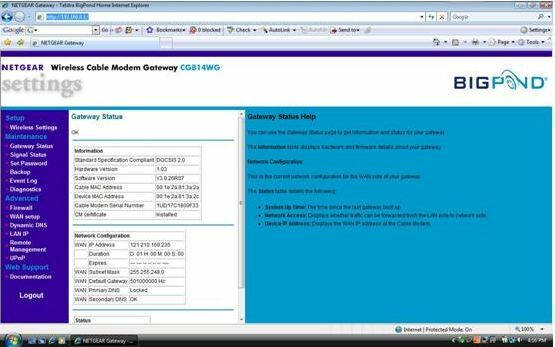 Step 3: The Gateway Page should appear. Click Wi-Fi on the top left. Step 4: Click on the 2.4Ghz Tab. Step 5: You can now type in a new Wireless Network Name (SSID), enter this into the Network Name box. (highlighted in yellow on the image above). Step 6: If you want to change the Encryption key (WPA), enter this into the Network Key box. Step 7: Then click Apply at the bottom. 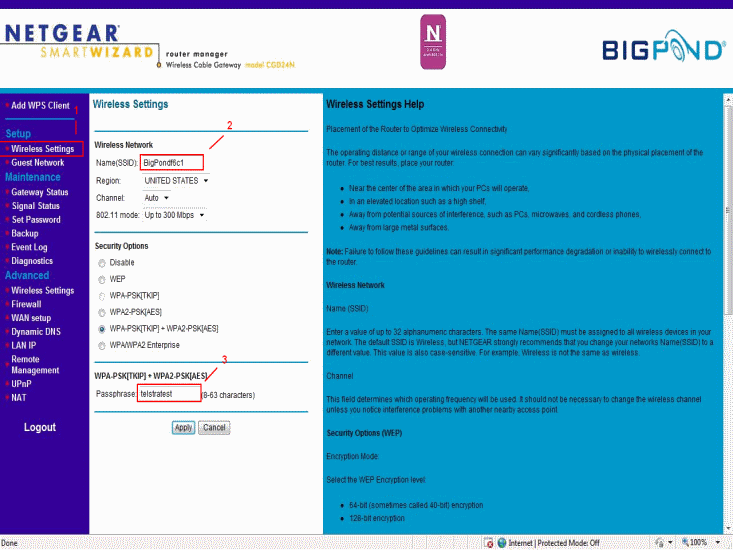 Step 8: If you want to change the SSID for the 5Ghz Wi-Fi as well, click the 5Ghz tab and then follow steps 5-7 again. Step 9: Browse to media.telstra.com.au to check the connection. 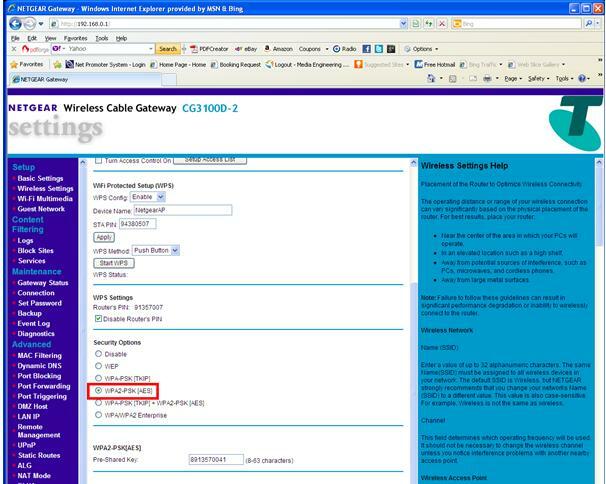 Remember: If you have changed your SSID and/or Encryption Key, you will need to use this when connecting any computers wirelessly to the Gateway, you may also be disconnected from the network after clicking save and this might also result in you having to reconnect straight away. If you are unable to access the network you can also hard reset the modem and this will revert the gateway back to the default SSID and Password (usually noted on the back or bottom of the modem for convinence.